In the wake of the 2008 financial crisis, the Justice Department accused Wells Fargo, among other institutions, of selling mortgages it knew were based on inaccurate income information. The bank has agreed to settle those charges, without admitting liability, and pay a $2 billion fine. The investigation of Wells Fargo began soon after the near-collapse of the financial system, when a wave of home foreclosures destroyed the value of mortgage-backed securities. In many cases the bad loans turned out to be subprime mortgages, granted to borrowers who couldn't really afford them. In the case of Wells Fargo, government investigators alleged the bank issued mortgages to consumers it knew had provided inaccurate information about their income, then sold those mortgages in the securities market. The collapse of the mortgage-backed securities market was partially responsible for the bankruptcy of Lehman Brothers in September 2008, which began the financial crisis and turned a garden variety recession into the Great Recession. "Abuses in the mortgage-backed securities industry led to a financial crisis that devastated millions of Americans," said Alex G. Tse, acting U.S. Attorney for the Northern District of California. Tse says the settlement holds Wells Fargo responsible for originating and selling tens of thousands of loans that were packaged into securities and subsequently defaulted. Wells Fargo, however, agreed to the settlement without admitting it did anything wrong. “We are pleased to put behind us these legacy issues regarding claims related to residential mortgage-backed securities activities that occurred more than a decade ago,” said Wells Fargo CEO Tim Sloan. According to the Justice Department, Wells Fargo's own internal comparisons of loan applicant income statements and their actual tax returns filed with the IRS showed 70 percent had "unacceptable" discrepancies in stated income. 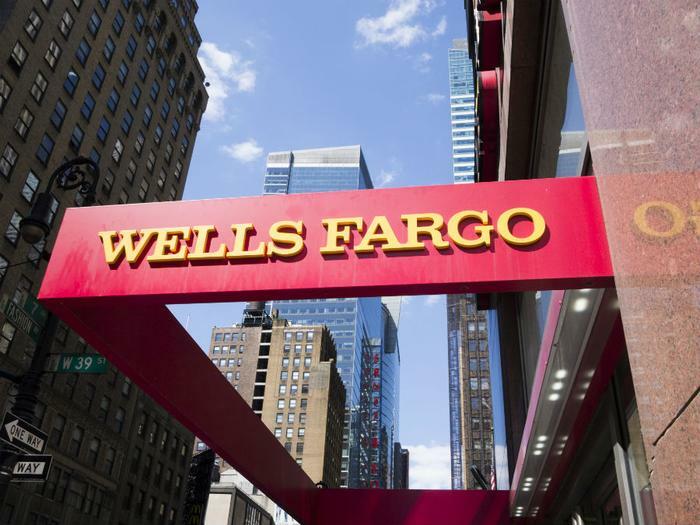 Wells Fargo has been writing plenty of checks to the government in recent years to wrap up issues unrelated to this week's mortgage-backed securities settlement. It paid more than $185 million in 2016 to settle charges that it opened checking and credit card accounts for millions of customers without their knowledge. In April of this year, it paid $1 billion in connection with its sale of products connected to car loans and mortgages. In June, it agreed to a settlement with the Securities and Exchange Commission (SEC), resolving charges that its advisors unit engaged in misconduct in the sale of financial products, known as market-linked investments (MLI), to small investors.